In an industry where change has become the norm, it’s rare when an individual can identify the most “powerful transformation” that occurred during the course of a career. 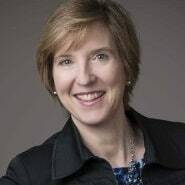 But for Carla Smith, who has served as Executive Vice President of HIMSS since 2001, it’s a no-brainer. The game-changer, she says, came when the conversation shifted from implementing EHRs to optimization, and strategic thinking now revolved around how to harness the power of data to improve access to care, increase clinician satisfaction, and improve outcomes. In this interview, she talks about the enormous effort it took to reach the tipping point, how some organizations are leveraging data to “change the world,” and what she believes is the next direction the industry needs to take. Smith also discusses HIMSS’ increased focus on advancing women in health IT, what we’re learning about gaps in compensation, and how we can take steps to close them. We want to showcase women who are thought leaders in areas that are represented more often by men. We want to enable individuals to establish themselves as thought leaders and to make a difference, regardless of gender. Our women’s initiative is not, and never will be, exclusive to women. It exists to provide support and help drive parity between genders, because we believe it’s good business and it’s good for healthcare if there is parity and balance in the work environment. We’re still at the beginning stages of this, but I’m delighted we were able to take that step, because as the data show, there are discrepancies that need to be highlighted. Knowledge is power, and part of our role is to disseminate the data and to equip people with factual information. Gamble: Hi Carla, thank you for taking some time to speak with us and share your thoughts on where the health IT industry is headed. For some background, you’ve been with HIMSS since 2001. Have you been in the same role, for the most part? Smith: For the most part, yes, but it has grown and evolved over the years. What has been constant is that I have been a member of the executive leadership team, and my title has been executive vice president of HIMSS. Gamble: One way in which both your role, and the organization’s vision, have changed is in the increased focus on women in IT leadership. We’ve seen much more emphasis in recent years in this area, particularly in terms of networking events and educational resources. How did this come about? Smith: I’ll give some history. For a number of years, two women — Carol Selvey (now Director of Talent Management for OESIS Group) and Sharon Klein (a partner in the Health Sciences Department of Pepper Hamilton LLP) hosted a reception for their female friends and colleagues at the HIMSS annual conference. Every year, they’d send an email to the women they knew inviting them to meet at a designated location. It wasn’t a formal event; it was more like, ‘We’re getting together at this lounge to raise a glass, share stories, and network in an entirely casual environment.’ One year they invited me, and I was delighted to attend. Eventually, we partnered with Sharon and Carol to make it an official HIMSS event, called the Women in Health IT Networking Reception. They were thrilled — not just because someone else would be handling the logistics, but because the HIMSS megaphone is much larger, and therefore, they’d reach a wider audience. That was quite a few years ago. Today, we’ve taken it way beyond a 90-minute get-together at a global conference; it’s now a year-round effort, because the need is there. We’ve created a year-community, open to HIMSS members, which now includes about 5,000 individuals. As part of that community, we host periodic webinars that don’t necessarily focus on women’s issues, but rather, offer a female point of view on a particular topic. For example, we recently held a webinar on blockchain hosted by four women. We did this because we want to showcase women who are thought leaders in areas that are represented more often by men. We want to enable individuals to establish themselves as thought leaders and to make a difference, regardless of gender. Gamble: Right. What are some of the other offerings? Smith: Aside from the webinars, which are hosted throughout the year, there are also live events. HIMSS’ local chapters (of which there are 57) are encouraged to hold activities, including mentoring events, networking opportunities, and career-focused educational sessions. These things are happening at the regional level, across the globe. For example, our colleagues in Europe have stood up a component of our women’s initiative that has been tailored to the needs of that particular community. Gamble: So there really are a number of opportunities for members. Smith: There are, and that’s an underlying philosophy that I want to emphasize. Our women’s initiative is not, and never will be, exclusive to women. It exists to provide support and help drive parity between genders, because we believe it’s good business and it’s good for healthcare if there is parity and balance in the work environment. Gamble: I’m glad you brought that up, because I believe there is a common misperception that these events and communities are available only to women, and that can cause backlash. I imagine is really has to be approached as an opportunity to women to support each other and raise each other up, and not to exclude men. Smith: It is not. And, in fact, I’ll take it a step further. We welcome men into our initiative. We’ve even invited men to speak at our events. One example is Lt. Gen. James Peake, MD (US Army, Retired), who is a member of the HIMSS Board of Directors. He served as Army Surgeon General for four years, and was Secretary of the VA under President George W. Bush. When he spoke, he recalled looking back at the physicians coming up through the ranks in the 1970s, and noticed a gender disparity. The overall makeup of the Army was evolving, both in terms of gender and race, and Lt. Gen. Peake recognized an opportunity to advance more female physicians. He implemented a program that has helped create much more balance — something he’s very proud of. When it comes to gender discussions, you have to walk the talk, and so we welcome men to participate in the conversation. Men are husbands, sons, and fathers — they want the women around them to earn every penny they’re worth and have access to every opportunity. Another example is Ruben Amarasingham, CEO of Pieces Technology, who participated in a panel discussion called ‘Shattering the Glass Ceiling: Lessons for Aspiring Female Executives’ at HIMSS17. Part of his business philosophy is to ensure racial and gender parity across his organization. We wanted to give him an opportunity to explain why he chose to take that overt step, and how it can benefit both his business and the industry as a whole. Gamble: I remember that event; there were some great discussions. Now, when HIMSS decides to get behind a particular issue, I would imagine it’s important to have data to back it up and be able to demonstrate that gaps exist. Smith: Absolutely. Every few years, we execute a compensation survey, with the most recent being published earlier in 2018. This year marked the first time that we reported out compensation data and categorized it both by gender and by race. What we found is that the pay gap continues to exist — both among men and women, and among white and non-white leaders. We’re still at the beginning stages of this, but I’m delighted we were able to take that step, because as the data show, there are discrepancies that need to be highlighted. And we actually took it a step further. We asked our respondents how satisfied they are with their salary, and women generally reported being more satisfied than men, despite commanding less money. Why is that? There are a number of reasons we can pinpoint, but we don’t have facts to back that up — not at this juncture, anyway, but hopefully we’ll get some answers. It’s complicated; it’s a puzzle we need to unpack. Gamble: Very interesting. When will the next survey be released? Smith: We’ll publish the next one in early 2020. Gamble: Do you expect to follow the same format where data was broken down into different groups? Smith: We do. Knowledge is power, and part of our role is to disseminate the data and to equip people with factual information. Gamble: So then the million dollar question is, what do you believe it will take to close that gap? Smith: There are several answers to that question. In terms of what it will take, one is greater knowledge of your worth. If you don’t know what you’re worth, you aren’t going to fight for it. Another is a greater understand on the part of employers of what the market will bear — if they know what you’re worth, they’re more likely to fight for you. And finally, stronger negotiating skills on the part of those individuals who are paid less than what they deserve, as well as an understanding of what their employment options are if they go to bat and lose. There are others, of course, but those are three that stand out to me. Gamble: Negotiation skills are critical, as unfortunately, it’s an area where women often aren’t as strong. What has HIMSS done in this area? Smith: This is where things like mentoring play a big role. We’ve done a couple of webinars on the impact mentors can have in learning these types of skills. And in fact, we recently signed an agreement with CSweetener, a nonprofit organization that provides mentoring services to women at no charge. It was founded by Lisa Suennen, who’s a managing partner with Venture Valkyrie, and it pairs women who aspire to become C-suite leaders with those who are in those roles. We believe it’s going to be a great benefit to HIMSS members. 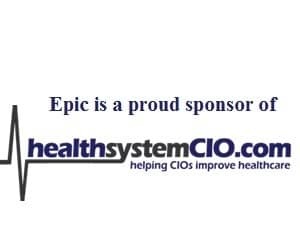 I’ve signed up as a member to show that HIMSS is walking the talk. Gamble: And this mentoring can be done both in person and virtually? Smith: Absolutely — whatever works with your schedule. If you’re in Boston and I’m in Ann Arbor, we can use the phone. If we’re both in Boston, we can go get coffee. But the important thing is to start those discussions.